Before delving straight into the advantages of engineered hardwood floors, let us first understand what engineered hardwood floors are. These are floors that are made from layers of wood that are stacked in opposite directions. Having said that, let us see how such floors help. Traditional hardwood floors revel in their affinity towards moisture. Nevertheless, engineered hardwood floors can do without moisture because they come with multiple layers. Now such layers act as moisture barriers and as a result, your floor does not warp even when the moisture levels are on the rise. You will be more than happy to note that engineered flooring is much cheaper than other types of hardwood materials. This is owing to the very fact that less wood is needed to make the finished product. It is quite interesting to mention here that on comparing the price of the engineered units with that of an exotic wood or a popular wood, the like of which is maple, the difference in prices is found to be high. 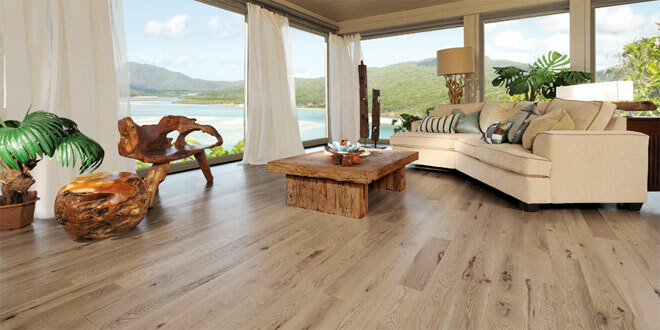 Moving on from moisture barrier and price, we come to the easy installation of engineered hardwood floors. You are advised not to install hardwood flooring on your own because they can be installed the wrong way pretty easy. But with engineered hardwood flooring, this is not the case. One of the biggest advantages of getting engineered hardwood floors is that they do not require you to hire a professional for the sake of installation. Instead of hiring a professional so as to install this type of flooring, you can do it on your own. But what are the things to be done in order to install the floor? First of all, you would need to buy tiles of the flooring material in sizes that you will be able to install easily. Next, glue the pieces together over a cement slab. On the other hand, if you do not wish to glue the pieces, you might nail or staple them. The good news for you is that you can install the materials over a wide range of floors. Let me be very clear to you. Although the durability of engineered hardwood floors depends upon several factors like the thickness of the top veneer, this type of flooring lasts as long as the solid materials. But if you are wondering how you can ensure the durability of the materials, I am right here to help. If you want the materials to last for a long time, you ought to make sure that they have multiple coats of a heavy finish. These multiple coats of a heavy finish aim to protect the floor from wear and tear. It is impossible to sand engineered hardwood floors down and refinish them a couple of times. You can solve the problem by opting for an engineered floor that has a top layer that is about one-eighth of an eighth of an inch. And yes, take good care of your floor!